South Americans being victims of the US imperialism for centuries (Cuba, Bolivia, Ecuador, Costa Rica, Venezuela and Nicaragua) are more sympathetic toward Palestinian sufferings at the hands of Europe’s unwanted Jews. Nicaraguan president Daniel Ortega government is hosting an international conference on Occupied Palestine in Managua on February 4, 2017. The UN sponsored conference would focus on strengthening ties between Palestinians living in central America and the occupied Palestine. Belize, formerly known as British Honduras, will be represented by its former prime minister Said W. Mousa, a Palestinian whose father Hamid Musa immigrated to British Honduras from Ramallah (British occupied Palestine) in 1930. He married a native woman and started a small business. His son Said went to Britain to study law and later entered politics. Said visited the occupied Palestine in 1965 for the first time to discover his Palestinian roots while studying law in London. Since he couldn’t speak Arabic, he took an Arab friend along on the trip. Said was one of the authors of Belize’s Declaration of Independence. After Belize gained independence from Britain in 1981, he was appointed foreign minister. In 1998, he led the Popular Union Party to victory in national elections, and became the first Muslim prime minister of the tiny country. Prime minister Said Musa appointed Assad Shoman, the only Palestinian Jew in Belize as his ambassador to London. Listen to Musa’s interview below. British Jewish oligarch Lord Michael Ashcroft has sued financially-battled government of Belize for $50 million in US court after prime minister Dean Borrow refused to pay the Shylock. Dean Borrow and his ruling United Democratic Party have very close links to the Zionist regime. Thanks to Christian majority Dean Borrow has succeeded in ignoring plight of Palestinians. 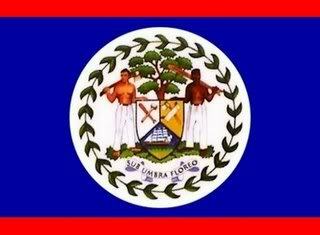 Belize is a 9,000 square mile Caribbean nation of 360,000 people – 70 % of whom are Christians. Belize have over 10,000 Arab Diaspora – but less than a dozen Palestinian families among them. Belize is also home to 3,000 European Jews. The first mosque in Belize was built in 1997 – not by Arabs but the descendants of former African slaves who converted to Islam. The Nation of Islam leader Louis Farrakhan has visited Belize three times so far. This entry was posted in Islamic History. Bookmark the permalink.